Mumbai: A range of government reports and statistics usually updated periodically have not been made public for years, including data on crime, employment, farmer suicides, caste and agricultural wages, IndiaSpend research shows. The central government’s decision to not release the report of the Annual Employment Survey for 2017-18 allegedly precipitated the resignation of PC Mohanan, the acting head of the National Statistical Commission (NSC)--which is tasked to “evolve policies, priorities and standards in statistical matters”--on January 29, 2018. The NSC had approved the report of the Annual Employment Survey for 2017-18, which the government has not released, Mohanan was reported to have told the newspaper Mint as one of the reasons for his resignation. Many commentators questioned the government’s motives for not releasing the jobs data. "The Indian government's withholding of the National Sample Survey employment/ unemployment report, which is expected to reflect job losses, undermines the ability of the electorate to make informed decisions," Sabina Dewan, president and executive director of JustJobs Network, a research organisation focussed on strategies for job creation & workforce development, told IndiaSpend, adding, "A functional democracy is premised on an informed electorate." Lack of data prevents central and state governments from making informed decisions, Ghosh said, adding that it similarly affects citizens who need to plan for their savings, investments and other issues. It creates economic opacity that prevents businesses and investors from making good decisions, Dewan said, and prevents NGOs and other development-oriented organisations from doing their work in an evidence-based manner. "How are we to hold government accountable if they control and censure information that should be publicly accessible?" she said, "We risk going down a very slippery slope if government withholds such data that should help in determining the policies that will actually help address the jobs crisis." The government issued a statement on January 30, 2019, saying the NSC members who had resigned--Mohanan and agricultural economist JV Meenakshi--had not raised their concerns at any of the NSC meetings. “NSSO is processing the quarterly data for the period July 2017 to December 2018 and the report will be released thereafter,” it added. The accidents and suicides report, which provides information on farmer suicides and is brought out by the National Crime Records Bureau (NCRB), has not been released for four years now. “The Accidental Deaths & Suicides in India 2016 will be published in the third or last week of December,” an NCRB official was reported to have told News18 in December 2017. Data on foreign direct investment, brought out every quarter by the department of industrial policy and production (DIPP), have not been released since June 2018, despite the Reserve Bank of India (RBI) providing it with regular inputs, according to this Business Today report published on January 29, 2019. When the central government released the socio-economic profile of the population generated through the Socio-Economic Caste Census (SECC) in 2015, it withheld data on caste despite demands from opposition parties and ministers within the government, this report in The Economic Times said in September 2018. The government blamed the delay on the enormity of the task due to India’s size and population; for instance, Census enumerators had covered 330 million households and drawn up 4.6 million entries, which needed 355 12-hour workdays to read, according to this Hindustan Times report from July 2015. “All surveys should be put into the public domain so that researchers and analysts can examine and critique the data quality and also generate additional analyses that can serve the policy community,” Purnima Menon, senior research fellow at the International Food Policy Research Institute, told IndiaSpend. The National Family Health Survey and the National Sample Survey, for instance, can be downloaded directly from the websites, she said. “It’s fantastic to see the various data and research outputs generated from these,” she added. Citizens deserve to know whether major economic reforms such as demonetisation and introduction of the Goods and Services Tax have had an impact on employment, Dewan added. "A lack of information, or withholding information that is available, allows speculation and misunderstandings to persist," she said, "The jobs discourse is rife with speculation and misunderstandings. In part because of the lack of reliable and systematic data collection on jobs. Why then should we not release the data that is available?" Recently, there have also been concerns raised over data going missing from the websites of centrally-sponsored schemes. For example, several sets of data were removed from the Swachh Bharat-Gramin website, including data on expenditure, conversion of insanitary toilets which foster manual scavenging, and several details of toilet construction, as IndiaSpend reported on October 6, 2018. The report of a Comprehensive National Nutrition Survey--started towards the end of 2016 to create comprehensive nutritional profiles of preschoolers (0-4 years), school-age children (5-14 years) and adolescents (15-19 years)--has been ready but not released. The report would help reorient India’s nutrition policy and serve as a baseline to evaluate the progress of recently launched initiatives such as the Rashtriya Kishor Swasthya Karyakram (‘national adolescent health programme’), Rashtriya Bal Swasthya Karyakram (‘national child health programme’) and the National Iron-Plus Initiative. 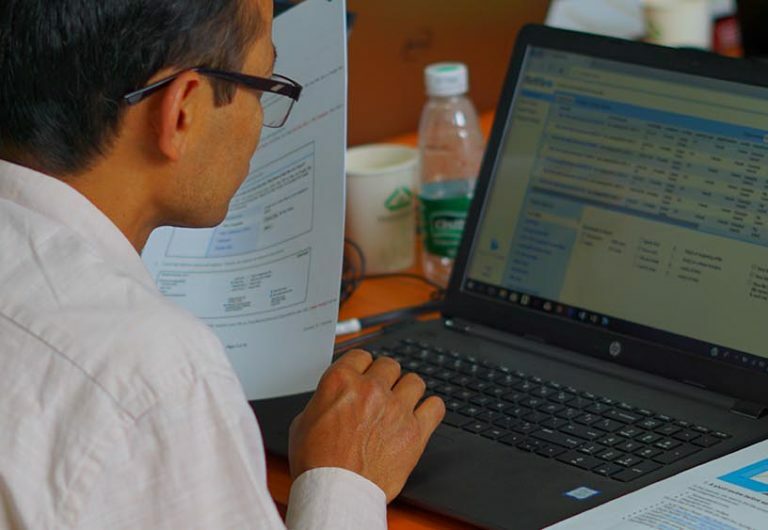 “Many countries and organisations are moving towards public release of surveys, and this is good practice because the research community can really contribute to the knowledge base when the data is publicly available,” Menon said. If the government is not releasing the report because of quality concerns or other methodological concerns, it should say so, Dewan said. "At the very least, the public, experts and even other policymakers that can use this information to make informed decisions, deserve an explanation," Dewan added.